Brother didn’t get any but he didn’t want any so that is fine. But the “Halves” kept asking for some?!?!?! 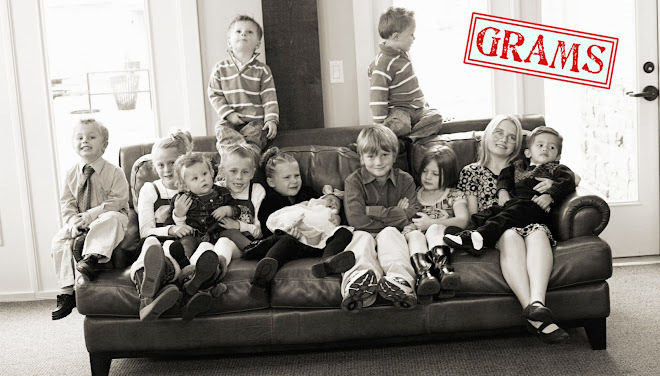 You have the most adorable bunch of grands. I especially love the pictures of the littles one. I'll bet she never lack attention. I've looked on the internet for patterns for leg warmers but couldn't find them. All those you make are really cute. adorable hats and leg warmers! you are amazing! Your "halves" make me laugh!!! Yep- I am SO ready for Spring! What cute crocheting! Such willing models you have as well.